Blessed is the life that finds joy in the journey. 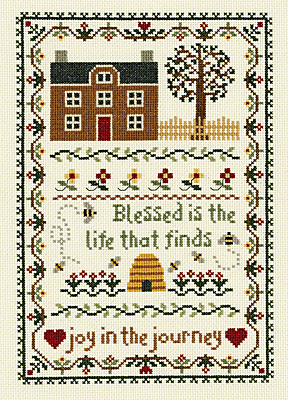 This design, measuring 7.75" x 11.25", captures simple elegance in a counted cross stitch piece. The kit contains 14-count cotton Aida fabric, 6-strand corded 100% cotton floss, needle, graph and multi-lingual instructions. Made in the USA.